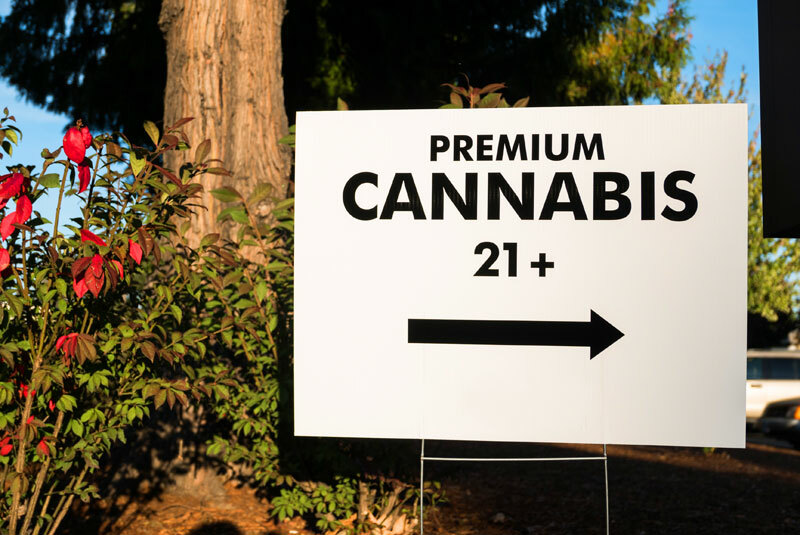 Dispensary and cannabis marketing is anything but straightforward. It’s a highly competitive industry that grants success to those that do their homework. Today, people of all backgrounds use cannabis to meet a variety of needs. From soccer moms to professionals, the demand for cannabis is creating an ever-changing market. If you’re a dispensary owner or in the cannabis business, you simply can’t afford to make any mistakes. We’ve written this article to address the most common ones and how you can remedy them! This is a common mistake. Simply put, cannabis business don’t to do enough research. It doesn’t matter how much passion you might have for your product or how much you believe in your brand, without research you’re just navigating blind. You see, in order to succeed in the cannabis industry, it’s important to know your market well. This will allow you to spot what your competitors are doing and identify any opportunities you can take advantage of. For example, look for any possible niches that have cannabis users you have yet to engage with. Avoid focusing on just one type of cannabis user. Research to see if you can expand your target audience to fitness enthusiasts, millennial professionals, or even the 55+ crowd! As the cannabis industry continues to expand, so too does the level of competition. The number of dispensaries is growing rapidly, which presents a problem for cannabis businesses. The fact is that 80% of consumers do some type of online research before choosing a business. One of the biggest mistakes you can make is not investing enough effort into online visibility. If you want your audience to find you, you need to make sure your website is optimized for SEO. It needs to be “right” for search engine algorithms. By crafting cannabis-focused SEO as part of your marijuana digital marketing campaign, you can build your rank and help the right people find your brand at exactly the right time. This is another common mistake. Cannabis business owners tend to forget that their content needs to be more than just SEO friendly. It needs to be interesting and relevant to potential customers. Mediocre content is the unfortunate byproduct of all the competition in the cannabis industry. You want to avoid creating blogs and articles that are just filler. They’re incredibly useless to people that you’re trying to reach. Instead, focus on creating valuable content that will create a connection between customers and your cannabis business. This effort will resonate throughout the online world and organically bring you an increase in traffic and, more importantly, sales! In our interconnected world, what people think and say matters. This is especially important for cannabis businesses. Dispensaries of all size can benefit from improving their online reputation. Cannabis consumers regularly perform research before making a purchase. If you make the mistake of overlooking your online reputation, all your other marketing efforts could be for nothing! We’ve found that the majority of cannabis business owners focus their reputation efforts on sites like Yelp, Leafly, and Weedmaps. While these places are certainly important, it’s important to not overlook reviews on places like Google Business. Other places to focus on are collaborative research sites, independent discussion forums, user blogs and user-generated content. When you begin the undertaking of managing your own social media marketing, it’s easy to get lost with all the options out there. It’s possible to focus too much on one site or spread yourself thin across too many. The question you need to ask yourself is: are you implementing it in the best possible way for your dispensary? We recommend you start with Facebook and Google Plus. You see, it’s far better to post every day and to respond to likes and comments than to post infrequently in a lot of social media sites. Once you’ve made some strides, consider moving on to Twitter, Instagram and more! We’ve noticed that too many cannabis businesses make the mistake of underestimating branding. You see, a brand isn’t just a color or a logo; it’s the essence of your cannabis business! A strong cannabis brand defines your company’s values and mission. It determines your audience is and what your competitive advantage is. If you promote an inconsistent or ineffective marketing effort, you can place your cannabis business marketing at a disadvantage. This can make your brand less memorable and even miss your intended audience! We know that running a company and managing the marketing can become a juggling act. This might distract you from your core competency, which is running a successful cannabis business. That’s the reason we wrote this article! Did you know about all the possible mistakes you could make? Are there any that you committed? Let us know in the comments! Oh, and don’t keep this information to yourself. Be sure to share this with your family and friends. Author Michael is a marketing and creative content specialist at GotVape.com with primary focus on customer satisfaction. Technology and fitness combined healthy lifestyle obsession are his main talking points.